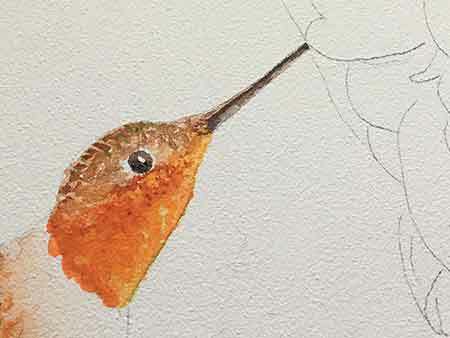 Paint a Rufous Hummingbird while learning the basics of how to watercolor paint. 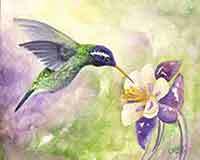 what do you need to start watercolor painting? 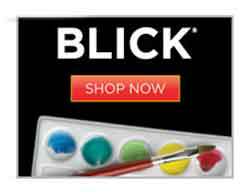 As an Blick Art Materials affiliate I earn from qualifying purchases. There is no additional cost to you. 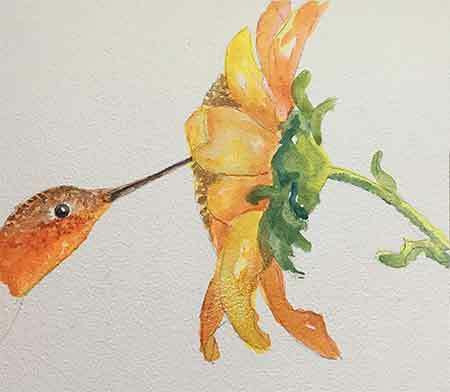 Watercolor paints from a tube are easy to use. Keep your paints in a watercolor palette with a lid. Close the lid when not painting to keep the paints fresh. 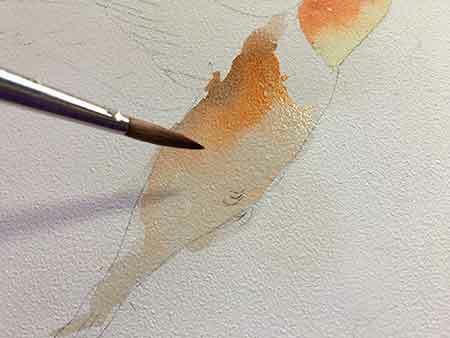 If the colors dry out between paintings, moisten them with a spritz of water. Then they are as good as new. Spritz water into wells of the colors you will be using to soften them for use. If the well is running low on paint, add fresh some paint. You want the colors in the wells remain clean and pure, so do all the mixing in the center of the palette. Never put a brush with one color on it into the well of a different color. Clean your brush with water before putting it into the color wells. 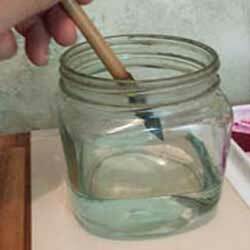 Use a container of clean water to the brushes. When the water gets dirty, get clean water. Blot the excess water out of the clean brush on a paper towel or a rag kept next to the water container. what do we paint on? 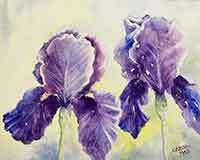 You may paint on watercolor paper, watercolor canvas or Aquabord. 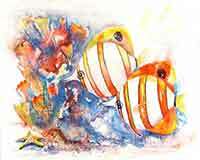 My favorite support for watercolor paintings is Aquabord. We will be using an 8x10 board for this demo. How do we decide what size to use? Small things like hummers and butterflies go on small boards and things like landscapes go into larger sizes. We will use a split compliment color scheme. Use a limited number colors in each painting. 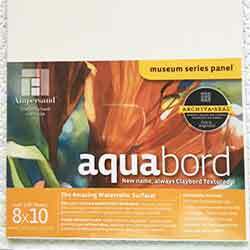 Transfer your drawing to the Aquabord and then you are ready to paint. 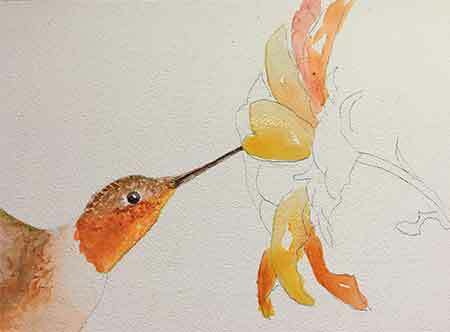 Using a round watercolor brush wet the throat area. Use a pale yellow on the side toward the light. 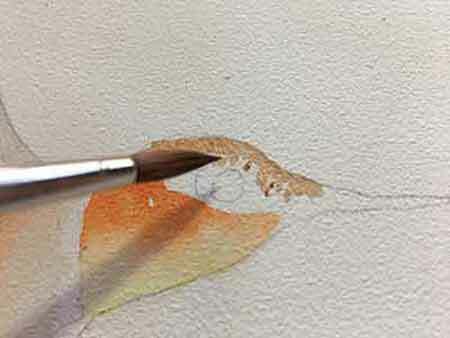 While the yellow is still wet, put orange on the opposite side. Allow the two colors to mingle together. Watching the beautiful colors mingle together is the joy of learning how to watercolor paint. Wet the body with water. The wet area will have sheen. The paint will spread into the wet areas. Mix blue and orange to make brown to paint the areas on the shadow side. Add orange, as you go toward the light. Leave the area below the throat white. Mix a very light grey-brown with the orange and blue. Use more water to make it a light color. Apply to the forward wing. Colors get lighter and cooler, as they go into the distance. Add a bit more blue to make it greyer for the wing farther away. Touch the top of the hummer's head with the brush tip. This leaves stippling marks to simulate the short feathers. Leave the eye, around and behind the eye white. 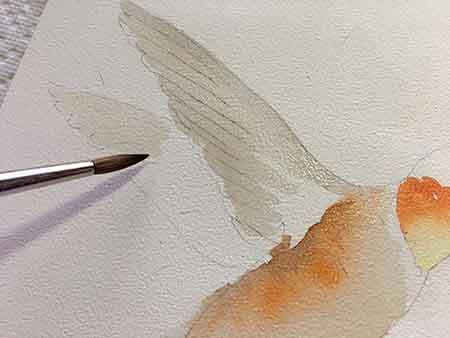 White paper makes the whites in watercolor paintings. Leaving the whites is basic in learning how to watercolor paint. Add more blue to your blue and orange mixture to make a black. 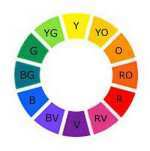 Color mixing is a big part of how to watercolor paint. Paint the eye leaving a white highlight. Paint the beak with one dark line down the center. Then put a lighter dark on the outside edges that catch the light. Freely paint the flower petals. Use a variety of oranges and yellow. Leave some white spaces for a little spark. On some petals put the paint on one end of the petal. Then pull it toward the other end with water. This makes the petal color go from full color to lighter and lighter. Mix a variety of greens from your blue and yellow. Add more yellow for the green toward the light. More blue makes a darker green for the underside of the stem and other areas away from the light. 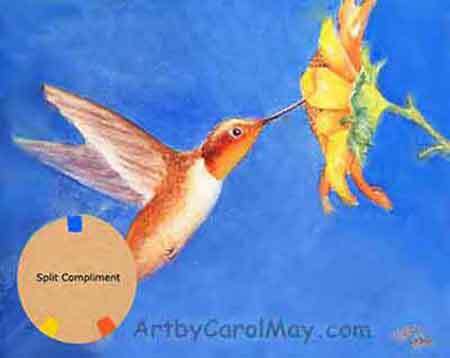 Use a variety of brown, orange and yellow to paint the center of the flower. Stipple with the end of the brush to portray the stamens in the center of the daisy. 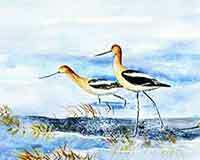 Using a flat brush dampen the background area with clean water. Do one area at a time, so the forward painting edge stays damp to prevent a hard edge. It seems to work the best to not pre-wet right up to the edge of the bird or flower. 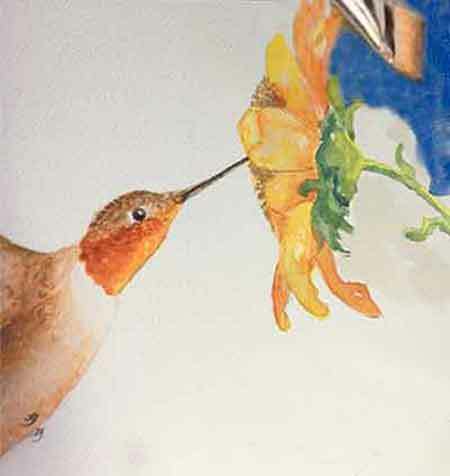 Paint right next to the bird and flower when you are painting on the background color. If you pre-wet right up next to them, it makes the color pool up against their dry edge. 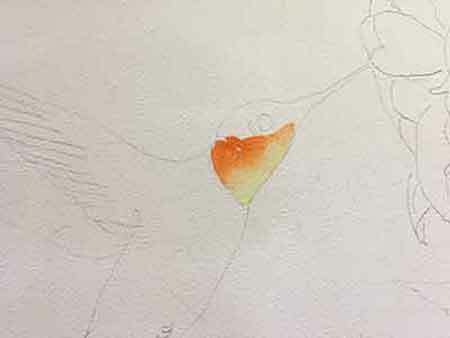 Make some marks behind the bird to simulate flight movement. 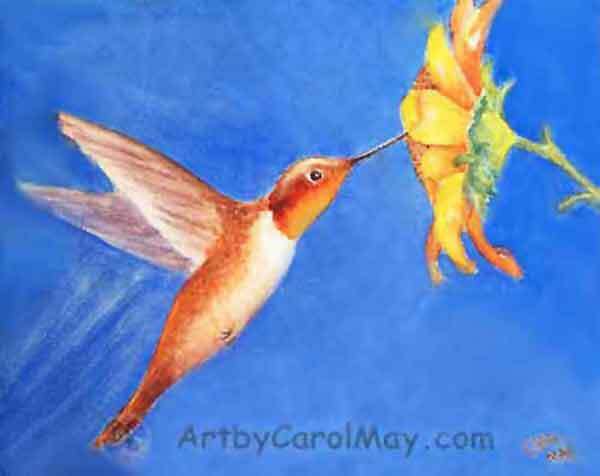 This is a lesson on painting a hummingbird, so we aren't concerned with painting leaves or foliage. That will be later lesson on how to watercolor paint. 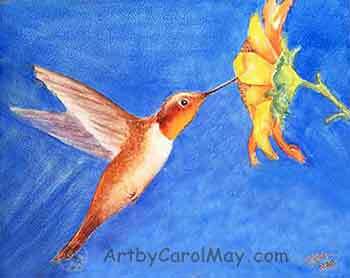 Go over the hummingbird again and darkened and brightened colors, where you think it needs it. Do any needed adjustment on the flower petals. Where the petals were overlapped by a petal next-door darkened the overlapped petals. Painting is so much fun! Learning how to watercolor paint is not hard. There are no mistakes that can't be fixed. If you make a mistake just put some water onto the area you want to remove, rub it a bit with a brush and blot it off with a paper towel. It's that easy! jump in and go for it and have fun!